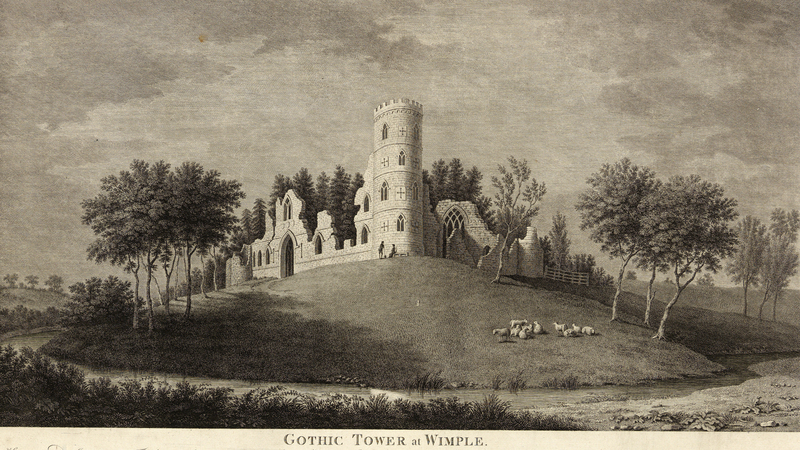 In June 1749 Sanderson Miller was asked by George Lyttelton to design a ruined Gothic castle for his friend Lord Hardwicke. This was to be similar to the one erected by Miller in the grounds of Hagley Hall in 1748-9. The Gothic Tower surrounded by scaffold with the scaffold stairwell leading to two viewing platforms. Those of you who are frequent visitors to Wimpole, either walking in the park or viewing the Gothic Tower from the garden, will have noticed recently that it has been enveloped in scaffolding. This is to allow access to the structure whilst it undergoes major conservation works undertaken by Cliveden Conservation. 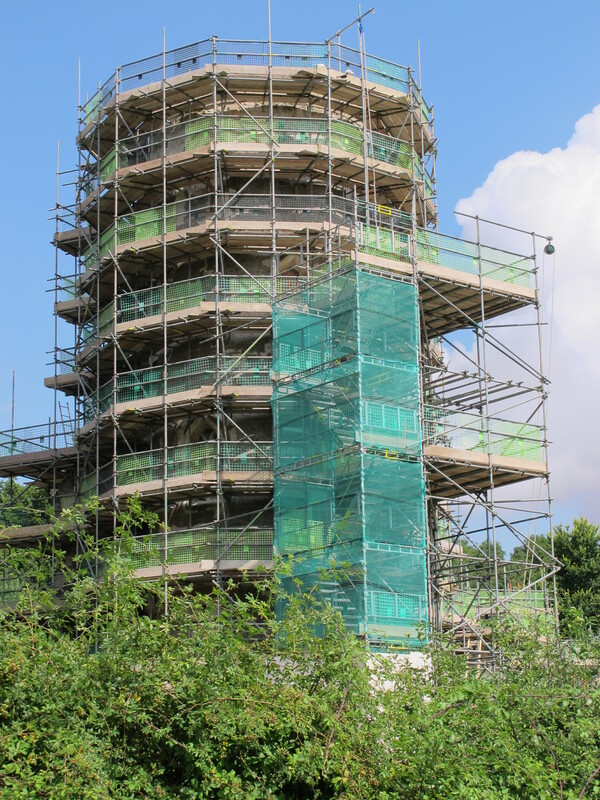 Made possible through funding from DEFRAs Higher Level Scheme (HLS) managed by Natural England, the conservation of the tower structure and stonework is part of the project due to be completed by December 2014. At the same time, further funding from the National Trust will allow the reinstatement of the windows, doors and external rear staircase. 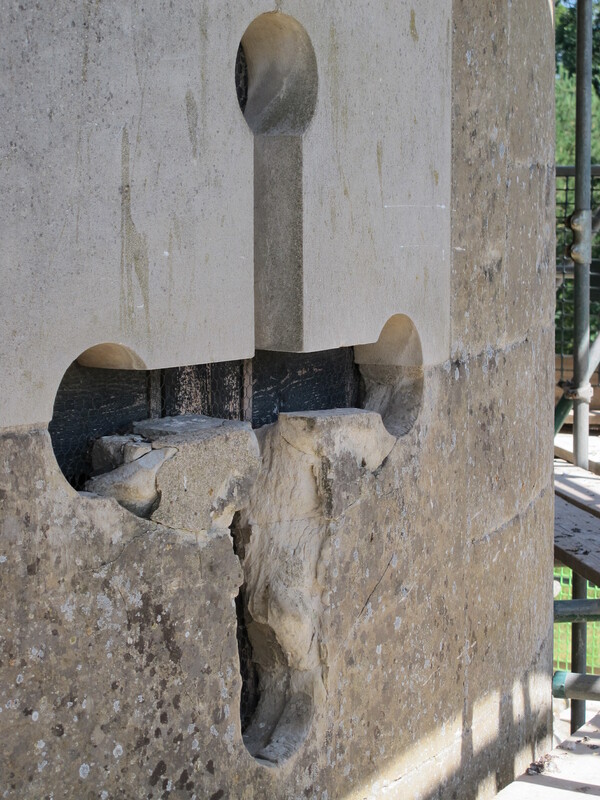 • Reinstatement of the crenellation on top of the tower, windows, doors and the external rear staircase. • Removal of fence line in front of the tower and improving public access to the exterior of the building. Do you have a head for heights? Take this unique opportunity to climb the scaffold to experience the view from the same height as the Prospect Room within the tower and get a sense of what it would have been like for past visitors. 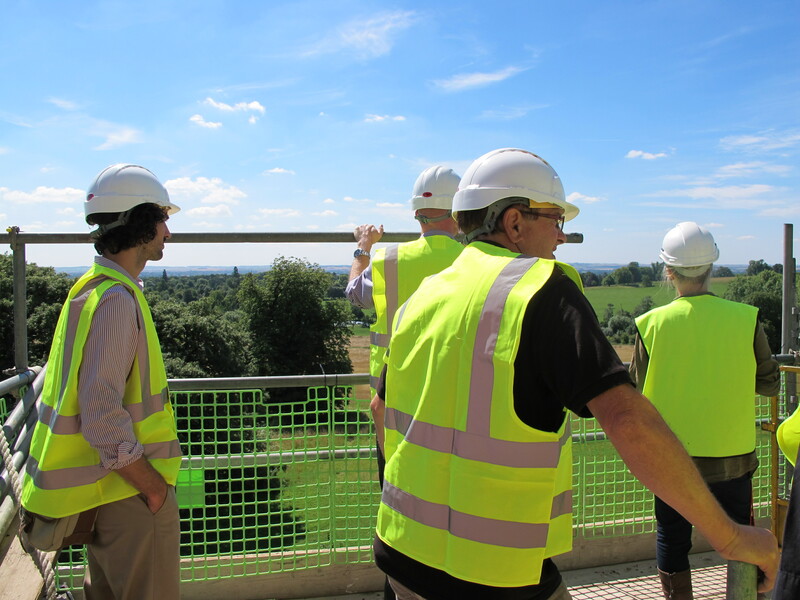 You’ll get a great view of the Hall and surrounding park from the scaffold and also find out about how it is being conserved from our volunteers. This entry was posted in Buildings, Conservation, Landscape, Uncategorized by ntwimpole. Bookmark the permalink.